I am currently incarcerated in Pennsylvania at the State Correctional Institution: Chester. And every day as I look around this place I'm forced to live in, all I see is a growing number of "synthetic snaps." When I first came to state prison in 2006 drugs were an issue but not like they are today. These new cheaper, and more easily obtainable synthetic drugs such as suboxone or subutex and K-2 synthetic marijuana, are making prison society worse and more depressing than ever. These subs cause withdrawal symptoms like heroin and are causing convicts to throw away their solidarity to scumbag each other in pursuit of their next fix. Suboxone strips are flat and very easy to smuggle into prisons and all one needs to obtain them on the streets is to test positive for opiates at a clinic to receive up to 90 strips a month for a small co-pay. They then smuggle them into the prisons where they can sell for up to $100 apiece wholesale which is like a 10,000% profit which is irresistible to most "hustlers." This new opiate replacement has prisons in an uproar. Convicts are stealing from and robbing each other to get just a little "piece" to chase away their withdrawal symptoms. And our RHUs are filled with "protective custody" inmates who ran up drug debts on credit that they couldn't cover. Then we have the so-called "synthetic marijuana" product K-2. I was an avid marijuana smoker on the streets and this stuff is way different than blowin a sacc of loud. K-2 can cause violent outbursts, passing out, seizures, suicide attempts, and serious mental breakdowns. I have seen people attempt to fly over the fence earning them escape charges. People lose touch with reality and lash out at everyone around them. Guys pass out standing up, cracking their heads open, and to top it off a guy on my block at SCI: Somerset went all zombie on his celly biting him on his face and arms. This stuff is more like bad PCP than marijuana. It just blows my mind that synthetics are causing more problems than their "real" counterparts. We as a united front against the injustice system need to stop trying to capitalize off the downfall of our comrades, and utilize our efforts to solidify our ranks against our oppressors. The rapper Meek Millz is a prisoner here at Chester with me and has stated that even growing up on the drug-laden streets of Philadelphia he couldn't imagine a cell block in prison so closely resembling a drug block in the badlands of his home city. We can't continue to give the oppressors more ammo to use against us. I understand that boredom, hopelessness, and other forms of incarceration depression tend to drive us to find ways to numb us. But let's try to come together and help our comrades strive to kick habits they have already acquired, and to prevent anyone from picking one up. This is just another battle we need to unite to win. Whether you're White, Black, or Hispanic, Crip, Blood, Latin, or Aryan, come together for the greater good of convicts everywhere. Pay attention, comrades, because Amerikkka wants to catch us slippin'. 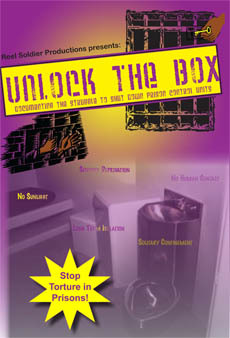 MIM(Prisons) responds: In the November issue of Under Lock & Key we got deep into the issue of drugs in prison. All writers agreed it's a big problem, though what is used and how the problem plays out varies from state to state and even within each prison. And a lot of folks came to the same conclusion as this comrade: we need to stop trying to make money off the suffering of others and instead come together against the injustice system. This letter is a good follow-up to that issue of ULK because we need to keep this topic front and center as we work to find ways to help people kick the habit and join the revolutionary movement. 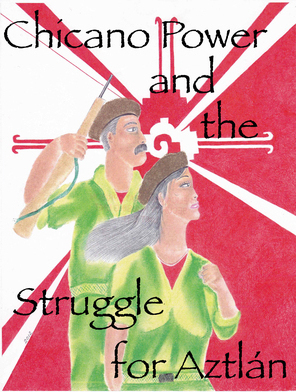 Are you helping comrades kick their drug habits? What methods and tactics are you using? What have you tried that didn't work, and why? What harm reduction tactics can we try to employ? What about counseling techniques? The State isn't going to fix this problem for us. We need to make our own interventions and support systems. Drugs in prison is a sensitive topic in the convict world. Being that I live in it and that I am STG'd out here in Arizona, I will refrain from speaking/writing about the illegal kind as here in solitary they are not as prevalent as they are out there on the yards. I will not lie though, and say that they are non-existent here, as all convicts know "where there is a will, there is a way." But what I mean is that there is no one all strung out or in debt and so forth. The number one drug here is the pills that the contract medical provider, Corizon Health, Inc., is giving to everyone, i.e. the legal kind. These prescription drugs that come in the guise of treatment are what reigns supreme here in SMU. You don't even have to wait for visit on the weekends like on the yard. No way not here, here they are passed out on the daily, twice a day, even three times a day to some. These drugs are prescribed by so called "clinicians who use an evidence based approach to treat conditions such as yours which includes maximizing formulary medication use while providing safe and effective treatment," to quote Corizon staff verbatim. This is actually impossible as you cannot eyeball someone and use that as your evidence. That is just a guess, and not an educated one. Now that they have taken actual pain medication, which is only gabapentin, a pill to treat nerve damage, Corizon staff have been directed to prescribe psych drugs in replacement. So instead of further treatment that include MRIs, EMG treatment, physical therapy, or a range of other options, they are taking away a drug that works, to prescribe you an anti-depressant for pain management as if the depression from you being here was causing you pain and not the stenosis in your neck, AC joint separation, nerve damage, etc. This psych med is like the commercials that you see on TV where the side effect is diarrhea, headache, etc. The system gives you these legal drugs instead of approving further treatment because MRIs cost money, and outside care visits cost money. So they want you on psych meds to have you walking around like a zombie or not so depressed from being STG'd and housed in solitary. Even the law firms and organizations representing us in Parsons v. Ryan are aware, yet choose to do nothing. Corizon staff and Arizona Department of Corrections (ADC) staff actually tell you to seek outside legal representation, like a dare! But while all we want is to be treated for our injuries and not drugs, ADC will not step in nor will our so-called legal team. Instead, our drugs at this unit are more habit-forming and more highly accessible than the illegal kind, and will continue to be supplied by our very own med provider Corizon, and all legally. ADC will just allow this to continue to take place and protect their mule, Corizon, just like the drug cartels in the motherland. This is ADC's "plaza" and Corizon will continue to funnel drugs all over the state of Arizona, not through tunnels, planes, boats, or on foot but right through the front gate with a badge and a greeting, service with a smile! MIM(Prisons) responds: This writer brings up an important point about drugs in prison. The problem isn't just illegal drugs numbing minds and harming bodies, it's also legal drugs being prescribed by the prison medical teams to keep the population pacified. This pacification happens through the action of anti-depressants and anti-psychotics, which can dull all emotions, and also through addictive drugs like pain meds. Instead of treating the real problems, both physical and emotional, that are caused by years of living in the harmful conditions of Amerikan prisons, prison medical staff just treat the symptoms, if they offer any treatment at all. From the capitalist perspective, in the short term providing inadequate health care and getting people addicted to pacifying drugs is an effective way to control costs and control the prison population. But in the long term this makes no sense, even for the capitalists. Health problems left untreated will only get worse as people age, and become more expensive to deal with. Further, releasing prisoners addicted to pain killers or other drugs does not lead to productive life on the streets. This only makes sense in the context of a criminal injustice system that wants to maintain a revolving door of an expanding prison population. One that doesn't care if prisoners live or die, as long as they stay passive. While it may be true that cost is part of the reason good treatment isn't provided, Amerikans are happy to spend lots of money on prisons in general. Spending all that money is justified because the prisons provide an effective tool of social control, targeting oppressed nations and all who resist the capitalist system. The drugs given to prisoners behind bars are just one part of that control.